In life, people face challenges and storms that come in different forms and fashions. These personal storms vary in scope, size and gravity, and some have short term effects whereas others may have long term effects. Whatever the magnitude of a storm, perhaps the most critical consideration at the end of the day is not so much the challenges or storms themselves, but rather how people respond to them. In this era of social, economic and political uncertainty, it is important for human service professionals such as social workers to gain a deeper understanding of different types of challenges that may impact the people they assist. Furthermore, it is important for them to attain a good grasp and understanding of how to address and manage these storms effectively. They may manage them on their own behalf or with their clients. A lack of understanding of these storms may lead to ineffective and misplaced interventions which do not offer any hope for the future. When people facing storms are given misplaced assistance or support, both the social worker and the client lose. This book examines the subject of storms from a Christian perspective and uses a real life experience of loss to highlight important lessons for both Christian and non-Christian social workers. It incorporates in each chapter vivid and thoughtful examples that illustrate storms, their impact on people and implications for recovery. Each chapter is coupled within a social worker’s perspective that highlights useful lessons for social work practice. The chapters also provide the reader with reflective questions that engage the readers by giving them an opportunity to explore their own lives, as well as discover life challenges they might have faced. 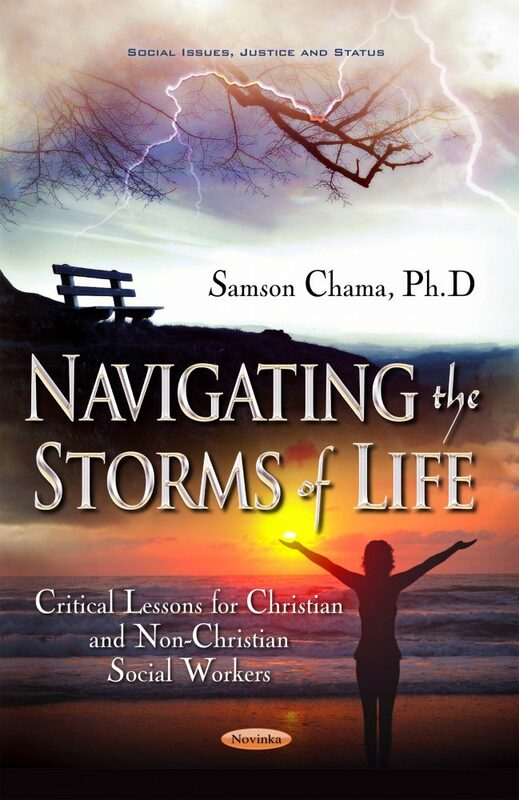 The book not only sheds light on storms and challenges, but provides a relevant nexus of hope, faith and courage. This is exemplified in the chapters toward the end of the book that offer hope for now and for the hereafter. This is crucial in that the chapters do not leave the reader hanging and wondering what is next, but rather cultivate in the reader timely confidence, purpose for survival and a bigger perspective. This book is a hope builder, a confidence giver and a purpose provider for those struggling with challenges and personal storms in their lives. It provides readers with a new lens for the present and beyond, a lens for overcoming any storm. Individuals of all backgrounds including Christian and non-Christian social workers will gain from this book. It will not only strengthen their resolve for life, but will allow them the tenacity to look forward to a life after this. It is a reminder that, despite the storms and no matter how much people suffer, God is orchestrating the story. He is in control, He knows what He is doing, and at the end of the day it’s about Him. This book is specifically written for Christian and non-Christian social workers but it can be use by other professions such as psychologists, nurses, occupational therapists and counselors. The book can also be used by clergy of different denominations including teachers in both middle and high schools.